In the videos, crowds of chickens are arranged to feed in various Chinese characters and images. "It is not very hard. I just need to place chickens' fodder in designed shape before feeding them," said Wang Lipeng, owner of a chicken farm in Yanshou county, Northeast China's Heilongjiang province. Wang, 25, started his chicken farm three years ago after resigning from a real estate agency in the county. "In recent years, people concern more about health and pollution-free food become popular in the market, so I got the idea of starting the business," he said. 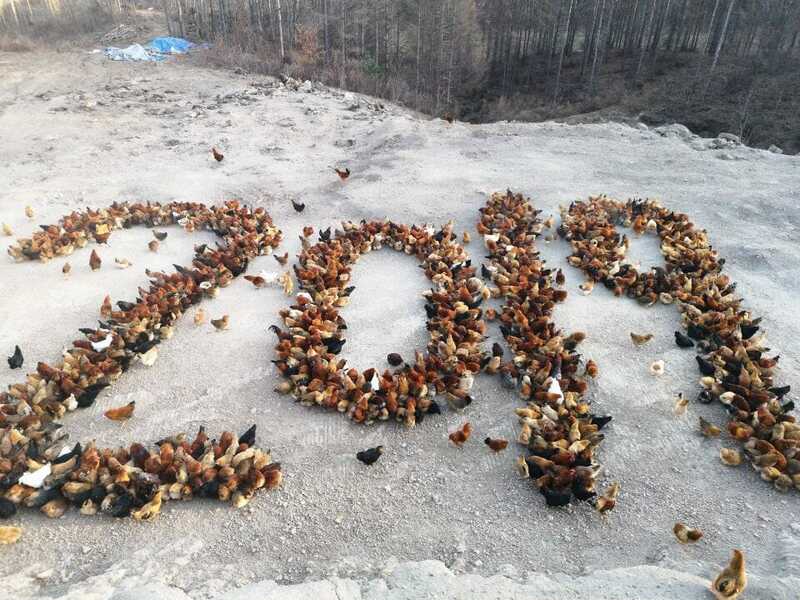 "I spend all my saving of about 400,000 yuan ($58,157.28) building the chicken farm in a mountainous area 30 kilometers from the central county, producing green chicken and eggs."